Two weeks ago, I attended a very interesting workshop held at the Law Courts Centre discussing the issue of how issues around ethnic diversity and race may affect the overall judgment of a legal decision-maker. Given that the speakers were a current judge and a former judge (now lawyer), I expected a very cautious discussion. I was surprised to find that both admitted there were significant cultural competency challenges facing decision-makers, particularly around such things as cultural traditions (re: marriages and families) as well as the importance of effective interpretation/intepreters. 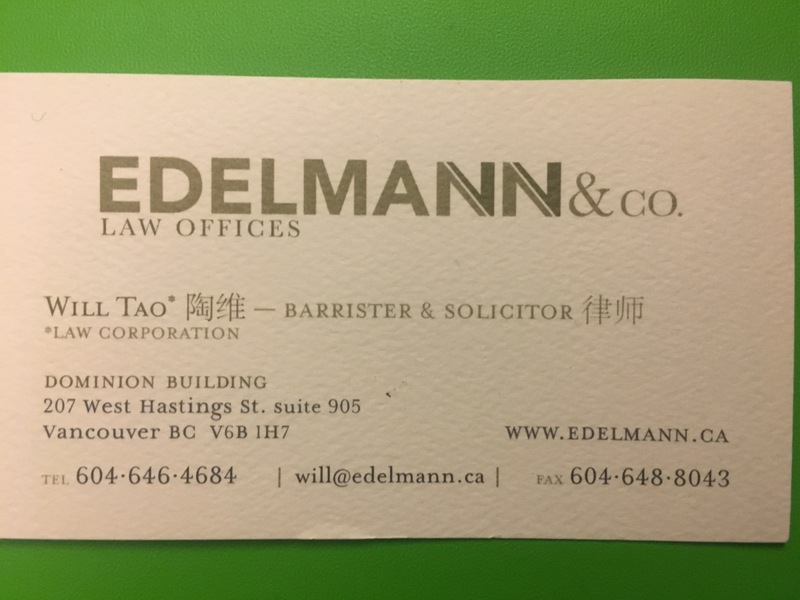 I recently had the privilege of sitting in on an Immigration Appeal Division (IAD) spousal appeal where I witnessed interpreting challenges in practice. The interpreter admitted at the forefront that there were dialect issues and in general was having difficulty keeping up with the fast pace of the witness (who was testifying by phone). The decision-maker was noticeably irritated by the witnesses inability to be concise and cooperate with the interpreter. Cantonese for many who do not speak it comes off very fast and harsh (even to someone who speaks mandarin like myself). The Member at the hearing was noticeably unamused by the tone of the witness. At the workshop, the judges both recommended that if the witness is able to speak English they should use that as the language of testimony. I completely agree. The individual used (particularly in immigration hearings) is not a professional certified interpreter. Furthermore, many terms and human emotions simply do not pass through interpretation. I believe that the credibility of the witness is is inevitably weakened and definitely not aided. Another cultural challenge that I have seen in several IAD cases (a few that have led to Judicial Reviews) is the issue of mental illness and disability. In the West, we have a very advanced view of mental illness and disability compared to many countries of the world. While undoubtedly stigma and prejudice still exist, parents generally know from an early age from their family doctors and educators what the child suffers from and what type of treatment options are available. Consequentially, I have seen quite a few cases where family members and spouses were unaware of the diagnosis of the mentally-ill/disabled individual and only able to describe several of the key effects (i.e lower IQ, trouble functioning in public, etc.). These factors were later turned around and used as signs that the underlying relationship (in the immigration context) was non-genuine and therefore excluded the family relationship and rejected the appeal. I think decision-makers, particularly at the IAD stage need to be very aware of the different cultural stigmas around mental health and how lack of knowledge of diseases may not necessarily be a sign of a non-credible witness or a non-genuine relationship. Another issue that I have seen arise in the IAD is in the assessment of the types of actions which demonstrate love. In the modern day however, this evidence of genuineness may not always be true. Several couples use Whatsapp, Skype, or some cultural chat software (QQ, Kakao Talk, WeChat) to communicate. Many of these platforms do not allow for message histories to be effectively kept and furthermore some of the sending of media images back and forth and video chats, and conversations in foreign languages, are not readily transcrible. In one IAD refusal decision I read, the sending of media back and forth between a couple was described as “illogical.” The individual Member had likely never used Whatsapp before. A second challenge that bogs many foreign couples (particularly older ones), I find, is the actual use of the words “I love you” in various contexts. Even in my own parent’s generation, the words I love you are rarely ever said or heard around the house. If asked why they are together or attracted to each other, I am sure my parents would come up with issues related around responsibility, similar view on household chores/economics, etc. I think it is important to be sensitive to the way love is expressed in different cultures and not draw negative inferences based on different understandings. Just a few thoughts on this Sunny Sunday in Chongqing, China.